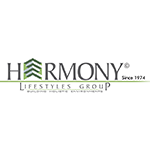 Harmony Lifestyles Group Is One Of Mumbai's Premier Real Estate Companies, With A Rich And Trusted Legacy Of 40 Years In The Construction Of Residential, Commercial & Redevelopment Projects. Starting Modestly In 1974 Under The Banner Of 'Rajgir Builders', The Group Has Since Date Transformed Over One And Half Million Sq.Ft Into Living Spaces, Housing Hundreds Of Satisfied Families And Corporates. Currently, It Has Over 2000000 Sq.Ft Under Development In Different Parts Of Mumbai And Thane Regions. Harmony Lifestyles Group's Value Proposition & Key Philosophy Is Based On Its Core Values Of Integrity, Innovation &Professionalism.